Largest of the Hunter range! Stern gland and exhaust elbow 2012. Cutless Bearing and engine mounts 2013. Cruising Chute & snuffer. New sails and rigging 2013. Self tacking Genoa. Built by Hunter Boats, all structural work and engine installation by Hunters in 1995 - fitted out and launched by owner in 1996 - this model was the largest in the British Hunter Channel range. 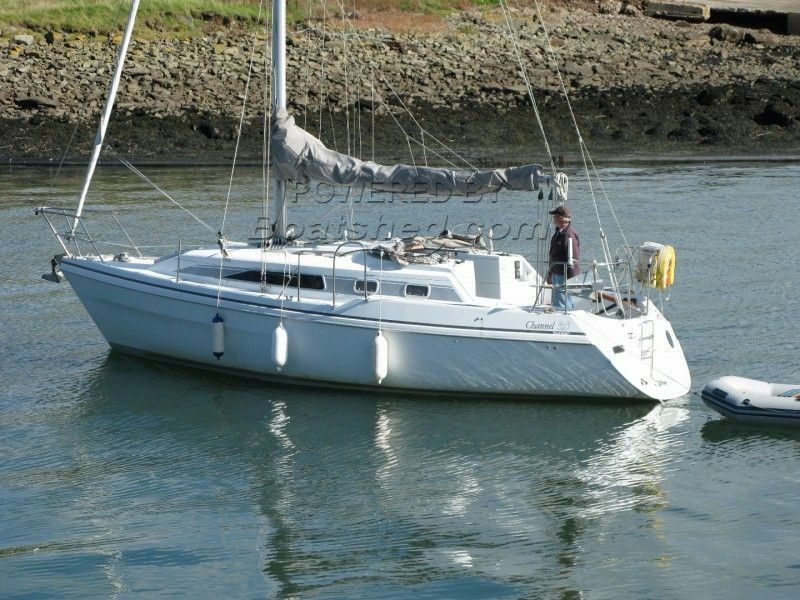 A well constructed, safe and comfortable cruising yacht which has been meticulously maintained and offered for sale by her current owner. This Hunter Channel 323 has been personally photographed and viewed by Alan of Boatshed Wales. Click here for contact details.